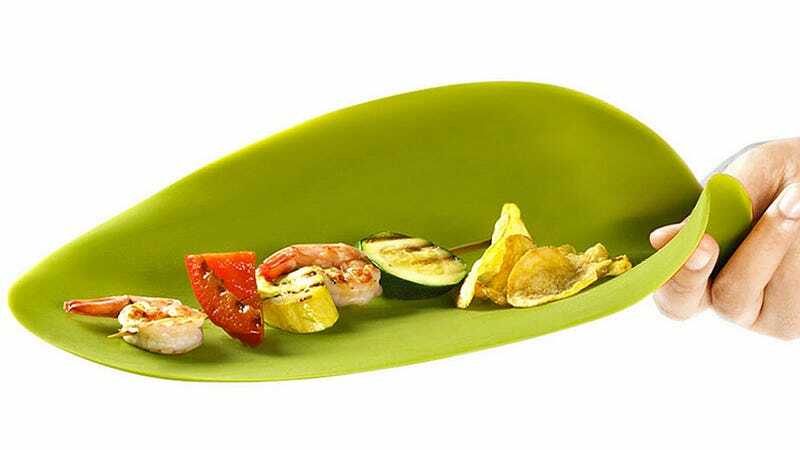 If you're worried about broken plates at your next dinner party, but the festivities call for something a little more upscale than Chinet, MoMA's food-safe silicone leaf plates are the perfect solution. They're durable enough to withstand even a trip through the microwave, dishwasher, or even your oven. And besides creating an enchanting tropical feel at your next get-together, designer Nao Tamura's creations can be easily rolled up and crammed in a drawer for storage. But at $80 for a set of four, you better make sure none of your guests toss one in the compost bin when they're done eating.